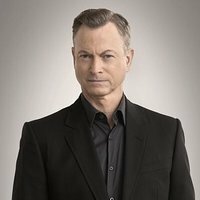 Gary Sinise (born March 17, 1955) in Blue Island, Illinois. His family later moved to Highland Park, where he attended high school. He was something of a rebel, playing in bands but paying little attention to school. Gary and some friends tried out for "West Side Story" as a lark, but Gary was hooked on acting for life by closing night. Gary credits his love for theatre to his drama teacher, Barbara Patterson. In 1974, Sinise, 'Terry Kinney', and 'Jeff Perry' founded the Steppenwolf Theatre Company in Chicago. Initially performing in a church basement, the company grew and gained stature in the Chicago area. In addition to acting in many plays, Sinise also directed some of Steppenwolf's most notable productions, including Sam Shepard's True West. The company made its off-Broadway debut with that production, starring Sinise and 'John Malkovich' and its Broadway debut with The Grapes of Wrath at the Cort Theatre in 1990.. Sinise's Hollywood career also started in the director's chair with two episodes of the stylish TV series Crime Story (1986) followed in 1988 by the feature Miles from Home (1988) starring 'Richard Gere'. Sinise's first feature film as an actor was the World War II fable A Midnight Clear (1992) in 1992. 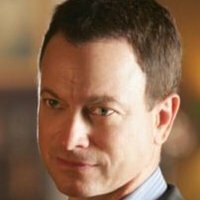 That year also found Sinise combining his acting and directing talents with the critically acclaimed Of Mice and Men (1992). His first real notice by the public came in 1994, however. He starred in the blockbuster miniseries The Stand (1994), rapidly followed by his bravura performance as Lt. Dan in Forrest Gump (1994). His portrayal of the disabled, emotionally tortured veteran earned Gary numerous awards and an Oscar nomination. Busy 1994 was followed by busy 1995, first reuniting with 'Tom Hanks' in Apollo 13 (1995) and then starring in the HBO film Truman (1995) which earned him the Golden Globe and Screen Actors Guild Awards and an Emmy nomination. Sinise married 'Moira Harris', an actress and original member of the Steppenwolf company. They have three children, Sophie, McCanna, and Ella. 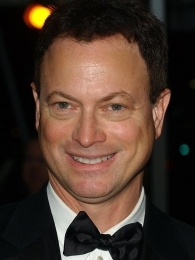 Sinise's father is the film editor 'Robert L. Sinise', A.C.E. Children: Sophie Ana Sinise (b. 1988), McCanna Anthony Sinise (b. 1990), Ella Jane Sinise (b. 1992). Performed in a band called "Half Day Road" as a teen. Band broke up before their first album "Half Day Road" could be recorded. He was nominated for a 1985 Joseph Jefferson Award for Director of a play for "Orphans" at the Steppenwolf Theatre Company in Chicago, Illinois. (1996) Nominated for a Tony Award for directing a new version of 'Sam Shepard' (qv)'s "Buried Child". Received his first college degree in 2003 - an honorary degree from Amherst College. The two episodes of _"Crime Story" (1986)_ (qv) that he directed are the only times he has been credited as "Gary A. Sinise." Formed the "Lt. Dan Band", a band consisting of several singers, guitarists, drummers and keyboardists. The band has a total of 12 members. Sinise plays bass guitar. The name is, of course, in homage to his character in _Forrest Gump (1994)_ (qv), Lt. Dan". Was considered for the starring role in _To Live and Die in L.A. (1985)_ (qv). When he didn't get the part, he recommended that the producers hire 'William Petersen' (qv), which they did. Ironically, he is currently the star of _"CSI: NY" (2004)_ (qv), the spin-off of Petersen's successful TV series _"CSI: Crime Scene Investigation" (2000)_ (qv).